This is probably the last Royale chassis to be bodied.. It was ordered by Captain C.W. 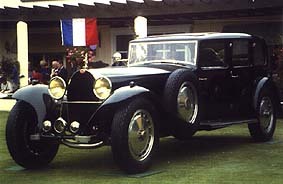 Foster of Great Britain and in June 1933 it was delivered to Park Ward & Co Ltd of London for the fitting of a seven passenger partitioned limousine body. This is the only Royale body, out of seven, with side mounted spare wheels. In 1946 Foster sold it to Jack Lemon Burton, who had earlier owned the Esders Royale Roadster. 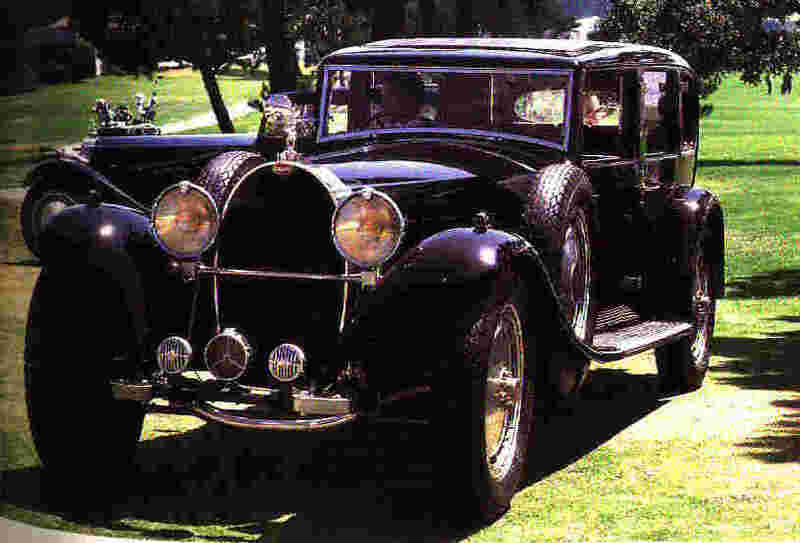 In 1956 he in turn sold it to John Shakespear of Centralia , Illinois , whos collection ultimately counted 30 Bugattis, the second largest collection after the Schlumpf collection, who finally bought the Shakespear collection in 1964 or 66.